New headshots! Hooray! Is anything better than getting new pictures that perfectly reflect who you are as a performer? It’s an exciting – if sometimes nerve-wracking – process. You book the session, do the shoot, choose your photos, order prints, and as you bring the package home, it dawns on you: You have a crapload of old headshots leftover that cost you a small fortune and you can’t bring yourself to throw them away! Without further ado, here are 10 things you could do with them. 10. Instant dustpan. Also, it’s economy sized for the actor’s apartment. 9. Cut them up into pieces and use them as confetti at your next party. Make a joke about throwing yourself at people. Then apologize. 8. Fantasize that you are super famous and practice signing them for fans. 7. Send them to your relatives. 6. Send them to the bullies from 7th grade. With love. 5. Offer them to the kosher delis to place on their walls. Insist on being placed next to that guy from the local news. 4. Get them slightly damp so they stick together, then use this brick as a bookend. Or a paperweight. Or a hammer. 1. Commission a designer to fashion them into an outfit for your first big awards show. If American Express can do it, so can you. Some ways to use your old headshots. 2. When you get ready to do a mass mailing, send the old shots to folks you wouldn’t normally consider mailing too. (For example, anyone whose office is too big, or too small, or you aren’t sure you’re interested.) Or, offer it as a second look in your submission packet. Keep in mind, in most cases, your old photos are still perfectly good. The new ones are simply BETTER. So there is no fear in using them in these isolated cases. You never know what might happen. As for your new shots? This goes without saying, but I’ll say it anyway. Upload your new headshots to the casting websites ASAP, even if it costs money to add them. You’ll find that these new shots invigorate your submission process, and you’ll likely see a bump in your call-in rate. Which leads me to: Start using your new headshots right away! Don’t let them gather dust because you are concerned about wasting the old ones. Keeping the new headshots on your shelf actually costs you money too – future money that you could be earning. 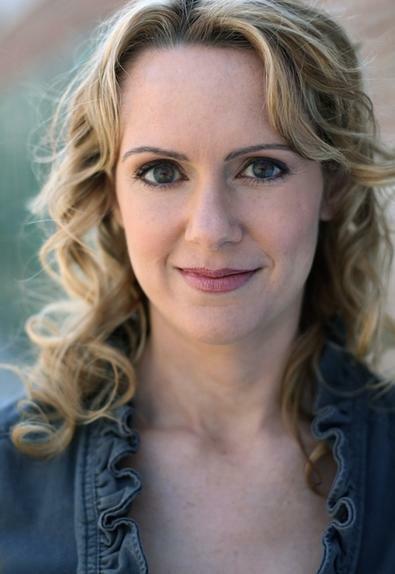 Erin Cronican is a professional actor (SAG-AFTRA/AEA) with more than 20 years of experience performing in film, TV, plays, and musicals. She also runs The Seeing Place Theater, a critically acclaimed non-profit, indie company in NYC. Passionate about sharing her knowledge with other actors, Cronican is the founder of The Actors' Enterprise, one-on-one coaching service that provides affordable career coaching to actors who want to feel more fulfilled and in control of their careers. She helps actors set goals, design their materials, organize their business, and create a plan of action with easy tools that can take them to the next level. First consultation is free. Follow her on Twitter @ErinCronican and like her on Facebook.